Grow in Christ. Join a Group! Life happens in community. Starting with the family unit, communities grow into cities, counties, states and nations. The bible has a lot to say about communities, teaching us from examples of good ones and bad ones. Whether you want to go deeper in your understanding of what the Bible says, or deeper in how to apply it to every day life, Foothills has a group for you. We offer Bible study classes for all ages; faithfully teaching God’s word on Sunday mornings at 9:30am. Please use the Contact Us page to inquire about details or email the church office. Life groups meet in homes on various nights of the week, generally in the evening. Each Sunday, our adults gather at 9:30am to dig into God’s Word together. With each person bringing different questions and perspectives, you are sure to enjoy these encouraging times together as we seek to find out how God would have us grow as followers of Christ. All our adult Bible Studies classes are studying the book of Genesis, but each has a different flavor and perspective. Your children are the most important thing in the world to you…and that makes them important to us! More than that, we know that God loves your children and has charged you to raise them in a way that honors Him. We are here to help! At Foothills, we are dedicated to ministries that engage your children in fun ways that also introduce them to the great truths of God’s Word. We believe that one of the greatest ways to help families grow godly men and women is to help parents be the best parents they can be. Our activities are age-appropriate, and always leave you with a way to follow up! Nursery – Your little ones are always welcome to stay with you in all of our worship services. However, if you prefer a safe place where your child is cared for by quality caregivers while you worship and attend Bible study, our nursery is for you. The nursery is available for infants from birth to 24 months, from 9:20-12:15 each Sunday. You can relax, knowing that your baby is getting the care they need and the attention they deserve while you are engaged with the Lord. Wee Worship – Your toddler might not be ready for school…but they are ready to learn about God’s love! This engaging time of worship, learning, and play is geared for children from 2 to 3 years of age. 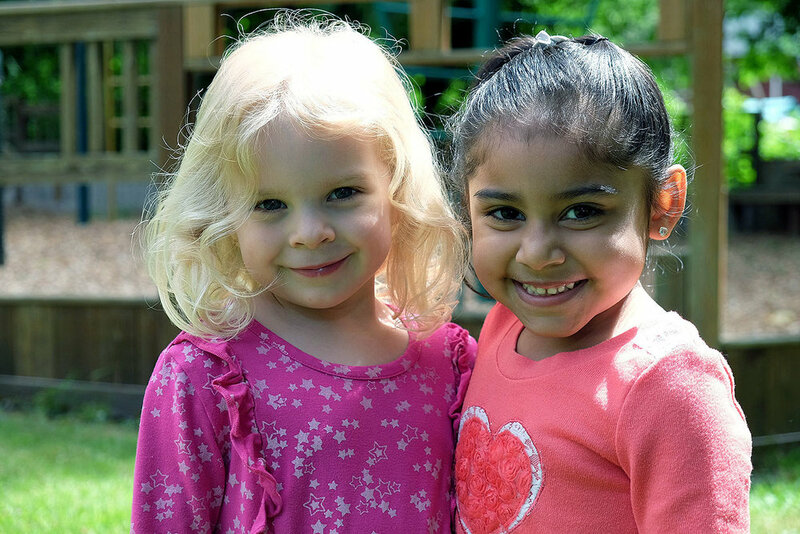 Your preschooler will interact with God’s Word through story, dramatic play, songs, and art. There’s Lots of friends and loads of fun, each Sunday from 10:50-12:15. Bible Study – Children need Bible study just as much as adults do. That’s why we provide age-appropriate times of Bible study for your children while you are studying with your group. We offer children’s Bible study in the following age groups: Pre-K (Ages 2-4), Early Elementary (K-2nd Grades), and Older Elementary (3rd-5th Grades), from 9:30 to 10:45 on Sunday Mornings. Children’s Worship – We believe that our children benefit from worshipping with their parents and seeing their parents worship. Our children get to experience worship with their parents before entering their own special time of Bible lessons, interactive songs, and creating art. Available for children 4 to 5th grade, from 11:20-12:15 most Sundays. Family Worship Day – Generally, the final Sunday in each month is Family Worship Day when all school-aged children and teachers join their families for the entire worship hour. It is an opportunity for children to participate in the corporate worship of the church, and for our volunteers to be refreshed by time with the larger body.